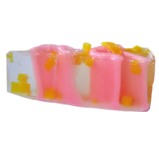 Lemon Meringue – Gourmet fun Cake Soap …Wow!!! 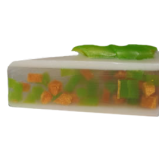 our famous lemon meringue pie Soap has the tantalizing smell and the realistic visual appearance that makes you feel like you could almost take a bite. Wow!!! our famous lemon meringue pie Soap has the tantalizing smell and the realistic visual appearance that makes you feel like you could almost take a bite. It has been on many a plate for “trick” food. 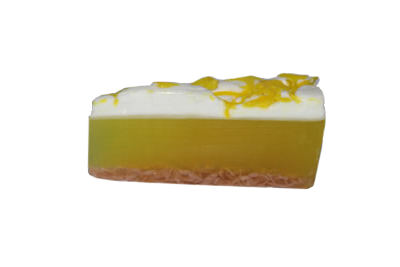 Once you use our amazing Lemon Meringue soap you will fall in love with it. We are always being told customers just want to stay in the shower with it. Lemon oil is known to help soothe and relieve headaches and migraines and it can be helpful for rheumatism and arthritis and is useful in helping to clear up acne, cleaning greasy skin and hair, as well as removing dead skin cells. Gentle enough to wash your hair as well as your body. 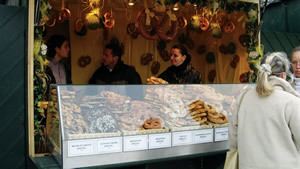 Ingredients may include saponified Vegetable, Fruit, hemp and herb oils. Coconut, Cocoa & Shea Butters. 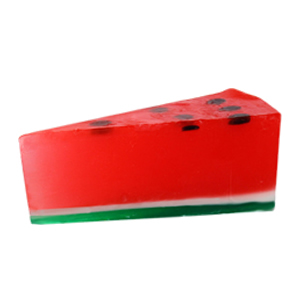 vegetable Glycerin Soap, fruit extracts, Essential Oils, skin safe fragrance , mica or FD&C colour. 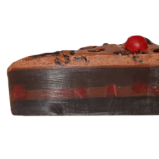 Amazing Soaps gourmet Fun Soap Cake Slices, handmade from natural vegetable & fruit oils, look almost too good to use – This is why we wrapped each slice in a special wrap to allow the fragrance to permeate. 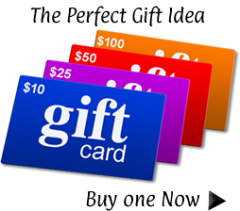 If you feel they are too good to wash with then sit them in your clothes or on display in a room as a room fragrance and do not undo the wrap, they will last like this from months to a year depending on your circumstances or UNDO and experience the natural elegance and luxury of washing with these Amazing Soaps.